Motherwell travel to Aberdeen for the last away fixture before the Premiership split. Buoyed by Saturday's 3-0 win over St Johnstone, the Fir Park men will take to the pitch high in confidence while our hosts struggle to come to terms with their recent poor form. Derek McInnes has seen his team win only once in the last six attempts and he is hurting after watching his team lose from a winning position at Tynecastle. 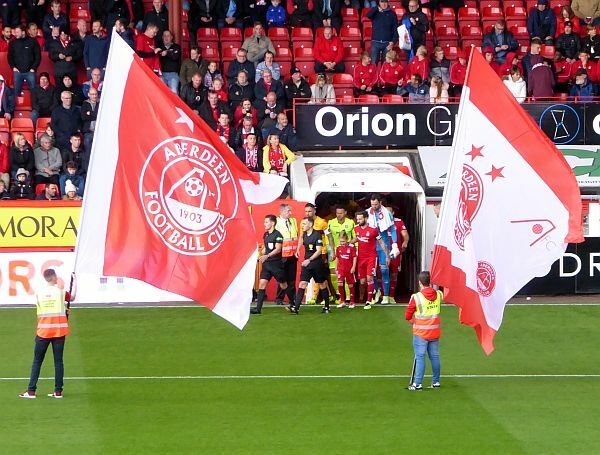 The feeling with the Pittodrie regulars is not a happy one. Shay Logan and Gary Mackay-Stevens are still injured and will miss this game. Sam Cosgrove has 14 goals in his account this campaign and he must be considered the main threat. Danny Johnson (x2) and David Turnbull scored to secure our win when the teams last met at Fir Park in November while James Wilson got the only goal at Pittodrie in September. Stephen Robinson has been remarkably consistent in his team selection since the turn of the year but the impact of his substitutes at the weekend may tempt him to make a change. Chris Cadden and Elliott Frear will be hoping that their contribution was enough to edge them into the starting eleven. While the slim hope of sneaking into the top half of the table remains it will surely provide an extra incentive if any was needed. With the comfort of a safe margin from the play-off place already banked we should be able to play without pressure and take the game to the opposition. Will those factors be enough to ease our way to an away win? Maybe not, 1-1. Remember our last trip to Pittodrie?